Hip Kids wooden toys for market stall fun! Now kids can set up shop in the comfort of the living room with fruit and French pastries aplenty. Hip Kids stall toys mean there’s no reason to get dressed and head out early to the markets for market day fun! 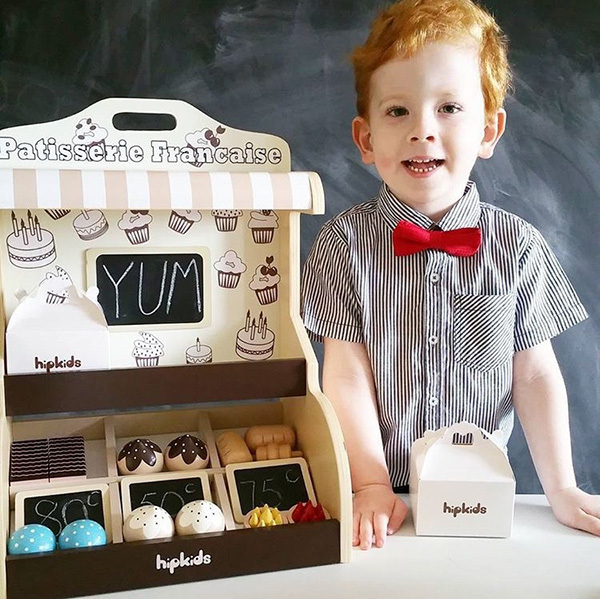 Children’s imaginations light up with pretend play and who wouldn’t want to while away the morning hours pretending to be a grocer or pastry chef extraordinaire? Thanks to Hip Kids, everyone can partake in the shopping fun. 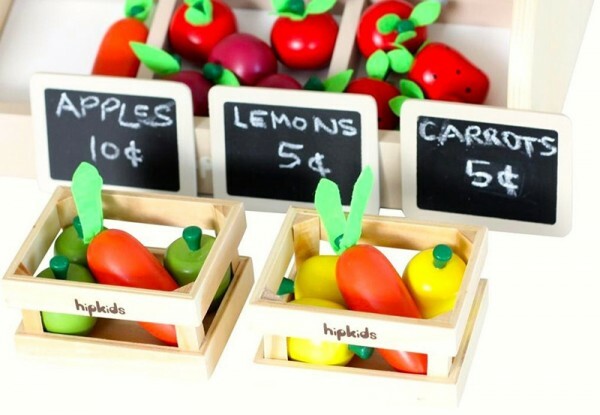 The Fruit & Vegetable Market Stand comes complete with birchwood display stand and awning, wooden crates, chalkboard plaques, wooden fruit and vegetables – all you need for an amazing produce stall! For those with a sweet tooth (imaginary or not) the Toy Patisserie Cake Stand is a sight to behold. The birchwood display stand is brimming with macarons, cakes, bread and eclairs, just to name a few. 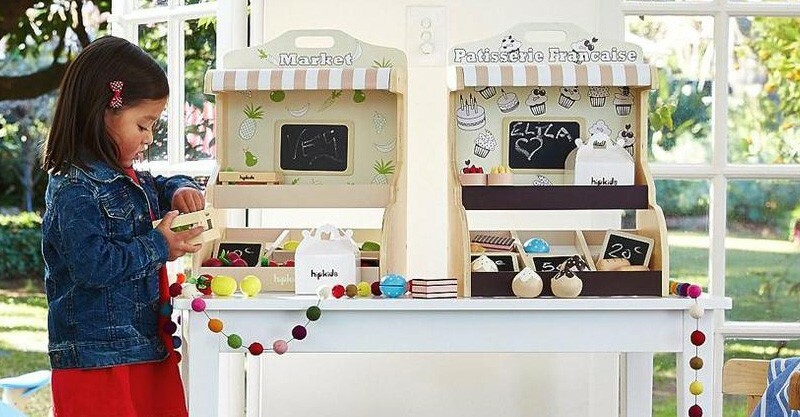 This set also includes cute pastry boxes and chalkboard plaques to announce your specials of the day. 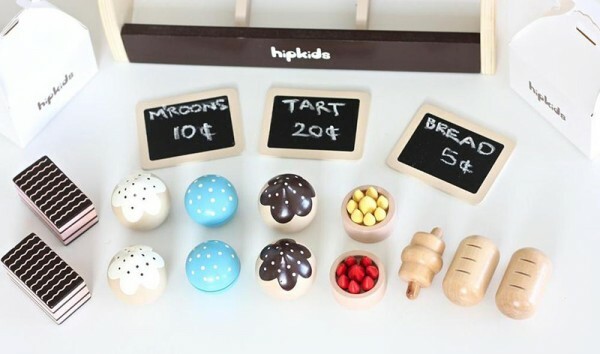 Hip Kids Wooden Toy Fruit & Vegetable Market Stand and Patisserie Cake Stand are priced $80 each and available directly from Hip Kids.